Hundred of thousands of hurricane-affected vehicles are about to hit the car market. Cars sat underwater for days on the flooded streets of Texas and Florida. This year’s big storms have flooded a huge number of vehicles — hundreds of thousands, if not the half-million that were initially feared. 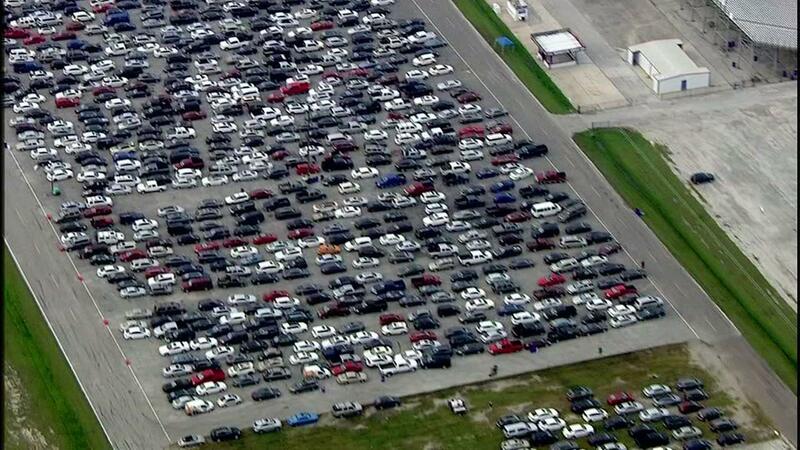 With the majority of these cars going to insurance staging areas like the one above at the Baytown Raceway in Texas, how does a repossession agency know if one of their active account units are sitting in a field somewhere? We stumbled upon this tool offered by the National Insurance Crime Bureau and wanted to share it with our fellow agents and agencies. Simply click on the image below and enter your target VIN. We tested it with a few known flooded units and it seems to take a while to be entered into their database and you only get to run 5 VIN’s per day, but it seems like a good shot should you have collateral in the flooded areas.